Groups of Jewish settlers stormed into the Aqsa mosque on Monday morning under heavy police protection and roamed its plazas. The Aqsa foundation for endowment and heritage said in a press release that the settlers were accompanying rabbis on a pre-planned route within the holy site while offering Talmudic rituals. It said that hundreds of male and female students, who study the holy Quran in the Aqsa, were on the alert to defend the holy site. The foundation noted, however, that heavily-armed special Israeli forces were deployed inside the Aqsa especially in front of the Qibli mosque to protect the settlers. Israeli occupation forces stormed and searched a number of homes in the Old City of occupied Jerusalem on Sunday before taking away two young men. Jerusalemite human rights sources said that Hamza Khalaf and Mohammed Asila were taken from their homes after accusing them with foiling Jewish settlers’ attempt to sneak into the Aqsa mosque on Saturday evening. Three settlers tried to infiltrate into the holy site through Mutahara gate but Aqsa guards, aided by worshipers, aborted the attempt. A Palestinian foundation, concerned in maintenance of holy sites and monitoring the Israeli violations, warned of settlers attempts to storm Al-Aqsa Mosque through climbing the roofs of nearby buildings. Three Israelis managed to storm the compound of the mosque on Saturday evening and arrived to Bab al-Mathara inside Al-Aqsa Mosque, Al-Aqsa Foundation for Endowment and Heritage reported in a press statement. The Foundation considered such act as extremely serious, especially in light of the growing incitement against Al-Aqsa Mosque and the worshipers inside it. Eyewitnesses stated that the three settlers tried to storm Al-Aqsa Mosque after climbing the roofs of the buildings in the area of ​​Bab Selsila in the Old City of Jerusalem. Guards and worshipers caught one of them, but the other two fled. The mosque guards handed over the detained settler to the Israeli occupation police. 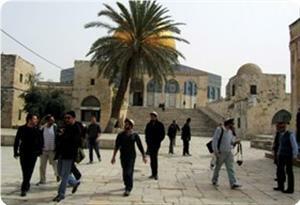 Aqsa guards foiled on Saturday afternoon the attempt by four Jewish settlers to sneak into the Aqsa mosque. The guards said that two were captured and handed to Israeli policemen while two others managed to escape, adding that they tried to enter the Aqsa through rooftops of nearby buildings in Bab Al-Silsela and Qatanin. They said that the purpose of their attempt was not known as yet. 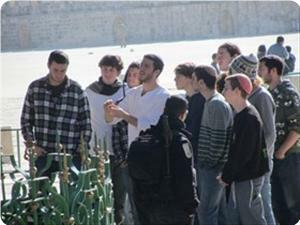 Jewish settlers routinely attempt to enter the Aqsa mosque to offer Talmudic rituals. 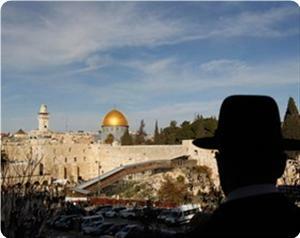 Warnings have recently been voiced of possible attacks by those settlers against the holy site. 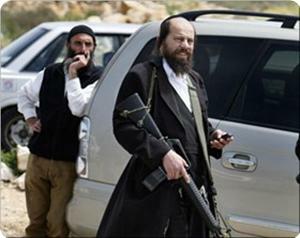 Jewish settlers attacked vehicles of Palestinian citizens on the Nablus - Qalqilya road, near the settlement of Qadumim built on the lands of Kafr Qaddum village eastern Qalqilya, in the northern West Bank. Informed local sources and eyewitnesses confirmed to PIC that groups of settlers from the Qadumim settlement and the adjacent settlements attacked the passing vehicles and broke windows of some cars. Meanwhile, settlers from the outpost of Havad Gilad set up on the lands of Sarra village, western of Nablus, have also attacked and vandalized Palestinians vehicles. These settlers' attacks came after the Palestinian marches organized in various towns and villages in the West Bank, including the town of Kafr Qaddum, in rejection of the continued Israeli settlement policies. Israeli settlers Saturday smashed windows of cars belonging to Palestinians travelling on roads near Nablus, in the north of the West Bank, said Ghassan Daghlas, who monitors settler activities in northern areas of the West Bank. Groups of Israeli settlers threw stones at the Palestinian cars as they drove on highways to the south and west of Nablus, shattering their windows. Daghlas said that the number of attacks on Palestinian cars is rising, indicating that there have been similar incidents in different locations in the past few days. Israeli occupation forces (IOF) quelled a Palestinian demonstration in Al-Khalil city on Wednesday protesting US president Barack Obama’s visit. Eyewitnesses told the PIC that Jewish settlers joined the soldiers in quelling and dispersing the demonstrators in Shuhada street. 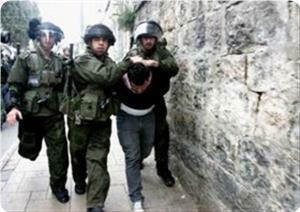 They said that the soldiers arrested three Palestinians and beat up participants in the march. 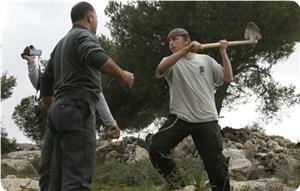 Meanwhile, IOF soldiers bulldozed cultivated land near a military roadblock to the south of Jenin. Local sources said that the bulldozed land is near to the entrance of Mevo Dotan settlement, adding that the soldiers wanted to expand the army barrier at the expense of Palestinian land that is owned by Abu Bakir family and is planted with olives and almonds. Jewish settlers went on the rampage near Yitzhar settlement on Tuesday night and threw stones at passing Palestinian vehicles smashing the window shields of 18 cars. Ghassan Daghlas, in charge of monitoring settlement activity in northern West Bank, said that the settlers went berserk and were closing the road on the Yitzhar-Jet road and throwing stones at Palestinian vehicles. In another development, Jewish settlers stormed Majnoone area near Fawar refugee camp in Al-Khalil on Tuesday, eyewitnesses said. They said that the settlers roamed the area, which was evacuated by Israeli occupation forces in preparation for building a liaison office. The sources charged the Israeli occupation authorities with banning Palestinian farmers from cultivating land in that area after the former Israeli war minister Ehud Barak handed over responsibility of that area to the council of settlements. 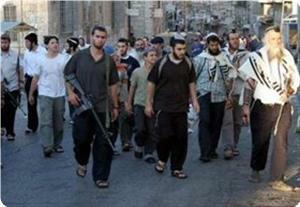 Aqsa mosque guards said that around 80 Israeli soldiers and settlers stormed into the holy site on Tuesday morning. They said that the Israeli soldiers and settlers entered the Aqsa plazas under the pretext of foreign tourism and were heavily guarded. The guards said that the policemen prevented them from approaching the group under threat of arrest and depriving them of approaching the mosque. Thousands of Israeli policemen were deployed in occupied Jerusalem on Tuesday one day before US president Barack Obama’s visit. 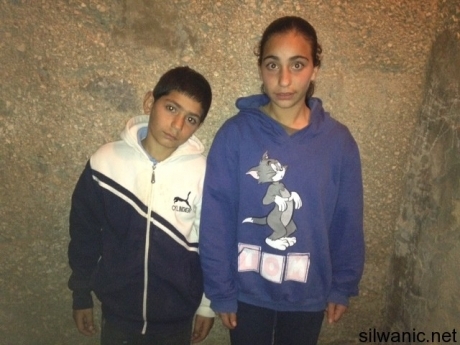 Two children identified as Deena Morad Jweiles, 14, and her brother Mohammad, 12, have been kidnapped by the Israeli Police after being attacked and harassed by an Israeli settler in Wadi Hilweh, in Silwan, in occupied East Jerusalem, the Wadi Hilweh Information Center reported. The center said that an Israeli settler, age 14, living in an illegal settlement outpost in Silwan, attacked the two children as they were heading to school, and sprayed pepper-spray at them. Their father said that Deena and Mohammad were trying to defend themselves, and that his daughter was carrying butter knife in her bag, as she uses it to prepare sandwiches for herself and for her brother. After being attacked by the settler, she took the knife out and was waving it around in an attempt to scare the settler hoping he would run away. He added that guards of the “City of David” settlement detained his son and daughter and called for the Police. 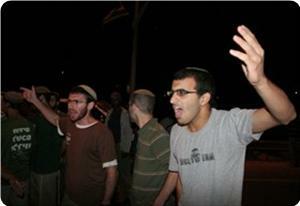 They were then arrested, and were charged with “attempting to stab” the settler. They were taken to an Israeli Police station in the Old City of occupied East Jerusalem, and were interrogated for six hours (from 7:30 in the morning until 1:30 in the afternoon). The two were released on bail (3000NIS each), and Deena was also ordered not to approach or use the Wadi Hilweh road for ten days. 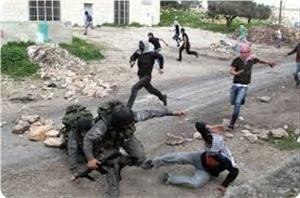 The Wadi Hilweh Information Center said that this was not the first time this settler child attacked the two brothers, as he attacked them on Friday evening while they played in one of the alleys of Wadi Hilweh. The settler tried to spray their faces with pepper spray, but accidentally sprayed his own face, he also poked the eye of Mohammad, causing a minor injury, and tried to hit the two with a baton he carried. The Center added that residents of Wadi Hilweh are subject to frequent attacks carried out by settlers and settlement guards, as Palestinian children have been repeatedly sprayed with gas and pepper spray, and that settlers vehicles have rammed several children in numerous hit and run incidents. It also stated that the children have also been repeatedly subject to verbal abuse and harassment by the settlers, and added that most settler children in Silwan carry pepper spray and cameras, some also carry batons, and frequently walk around the area accompanied by armed settlement guards. The Israeli police detained on Monday two children, Dina Joiless, aged 14, and her brother Mohamed, 12, after a Jewish settler attacked them on their way to school in Wadi Hilwa neighborhood of Silwan district. The information center of Wadi Hilwa said that a Jewish settler bullied the two kids in the morning as they were walking to their school and sprayed them with some kind of gas. The center quoted the father as saying that Dina and Mohamed were very scared and tried to defend themselves, especially his daughter who took a food knife she usually keeps in her school bag and pointed it at the Jewish assailant to fend him off. He added that Israeli guards from the outpost City of David near Silwan showed up and detained his children before they called the police and accused them of attempting to stab the settler. The father noted that even the Israeli guards bullied his children and intimidated them before they handed them over to policemen who took them to Qashleh police station in the old city of Jerusalem. The police also ordered his daughter not to get close to Wadi Hilwa road for 10 days and be ready to be cited for any day for possession of a knife. The information center of Wadi Hilwa affirmed that the same Jewish assailant had already attacked these two children last Friday afternoon when they were playing in one of the alleys of Wadi Hilwa. The assailant tried then to spray the kids with some sort of gas, but he mistakenly sprayed his own face. He also beat them with a stick and poked his fingers into Mohamed's eyes, the center added. In a related context, Ahrar center for prisoner studies and human rights accused Israel of suppressing the Palestinian children under age 16 and violating their rights in the occupied Palestinian territories. Director of the center Fouad Al-Khafsh stated that the Israeli occupation forces escalated its detention and kidnapping of Palestinian school children without any guilt or on false charges. Kafsh added that the Israeli security and military forces intimidate the detained children into signing papers containing false confessions written in Hebrew and force their parents to pay a lot of money to bail them out. Jewish settlers raided the outskirts of Burin village, near Nablus, on Monday morning and damaged a number of tractors used by Palestinian farmers in tending to their land. 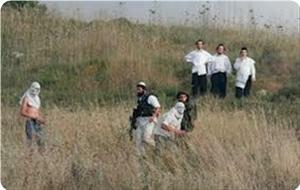 Eyewitnesses said that the settlers, coming from Bracha settlement, also chased a number of Palestinian shepherds and tried to assault them. They said that Israeli occupation forces arrived to the village to protect the settles and to convince them to withdraw out of fear that inhabitants might retaliate against what they have done to their property. The Israeli Occupation Forces (IOF) closed Jeet barrier that links between the cities of Nablus and Qalqilya in the northern West Bank, after an armed attack against an Israeli settler in that area. The IOF closed the main roads in the area and prevented the passage of Palestinian vehicles following the accident, and then imposed strict measures at Jeet checkpoint, searching and checking the Palestinian citizens' vehicles and identity cards, local sources confirmed. Voice of Israel radio station has reported that an Israeli settler was slightly injured after being shot from a Palestinian car, as it claimed. Meanwhile, the IOF stormed on Monday Fawar refugee camp south of al-Khalil in the West Bank, where Israeli patrols were deployed near the southern entrance of the district. Dozens of soldiers stormed the camp, roaming between its neighborhoods, no arrests were reported, eyewitnesses told PIC reporter. Occupation patrols have also stormed the southern entrance to the city of al-Khalil and the entrance to Beit Haggai settlement built on the Palestinian land. In a related context, the Israeli occupation forces arrested at dawn on Monday the liberated prisoner Kedar Ghaith, 33, from al-Khalil after storming his house, where he was taken to unknown destination. The occupation authorities have released Kedar a few months ago, where he spent 7 years in Israeli jails. Dozens of Jewish settlers and female conscripts stormed the Aqsa mosque on Monday morning via the Maghareba gate. The intruders enjoyed heavy Israeli police protection as the feverish Israeli attempts to Judaize the holy city gain momentum. Eyewitnesses said that the group roamed the mosque’s plazas and utilities while provoking worshipers and students present inside it. Jewish settlers attacked on Saturday a Palestinian woman and her daughter, while walking in Sharaf Gate, in the Old City of occupied Jerusalem, Palestinian sources said. Ayoub Abu Wahdan confirmed that his wife and daughter Ala,19, were subjected to a racist attack by Jewish settlers, while on their way to their home in the Mughrabi Gate in Silwan neighborhood south of al-Aqsa Mosque. 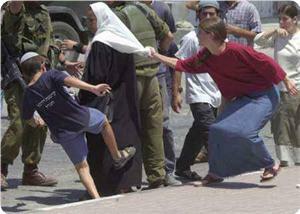 The racial attack occurred when the mother and her daughter passed beside a number of Jewish extremists standing near a model of the alleged Temple, where one of them tried to pull the veil from Ala's head, and sprayed the two of them with gas before fleeing, causing them burns over their faces, the father told Quds Press. Abu Wahdan pointed out to the settlers' escalating attacks in Sharaf Gate adding that he had made a complaint to the Israeli police, who do not deal seriously with these attacks, leading to their escalation. The attack came in light of the Israeli "attempts to terrorize the Jerusalemites, in order to force them to leave the city, especially the girls because they wore Islamic dress," he added. Abu Wahdan called on the Israeli police to investigate the attack on his daughter and wife, through cameras installed in the scene. Human rights reports in Jerusalem confirmed that Jewish extremists' attacks against Palestinian citizens have escalated, especially against girls who wear Islamic dress. The attack came two weeks after a similar racial attack against Palestinian woman Hana Mtir, where Jewish extremists have removed her veil. A number of armed extremist Israeli settlers burnt on Sunday at dawn a chicken coop that belongs to a villager of Qasra village, south of the northern West Bank city of Nablus. Local sources reported that settlers of the Magdolim illegal settlement, attacked the village of Qasra, southeast of Nablus, and burnt a chicken coop that belongs to resident Jamal Abu Reeda. The Radio Bethlehem 2000 interviewed the head of the Qasra Village Council, Abdul-Athim Al-Wady, who stated that the settlers have escalated their attacks against the village, and several nearby villages, especially over the past few days. In related news, a number of Israeli settlers raised Israeli flags, planted olive saplings, and placed some clay pots at the entrance of the Al-Qit area, in Al-Khader south of Bethlehem. Coordinator of the Popular Committee Against the Wall and Settlements in Al-Khader, Ahmad Salah, told Radio Bethlehem 2000 that, a few months ago, the settlers illegally occupied five dunams (1.23 Acres) of Palestinian lands in the area, and were never removed. He added that the settlers are repeatedly trying to occupy and plant Palestinians lands in the area in order to install illegal settlement outposts, or to expand existing illegal outposts. Furthermore, a number of armed Israeli settlers attacked several Palestinian farmers, and prevented them from plowing their own lands east of Yatta town, near the southern West Bank city of Hebron. Also, the Popular Committee against the Wall and Settlements in Beit Ummar town, north of the of Hebron, reported that Israeli soldiers kidnapped three children, earlier on Sunday at dawn, an issue that led to clashes between local youths and Israeli soldiers. Also on Sunday, Israeli soldiers kidnapped three Palestinian youths in Hares village, near the central West Bank city of Salfit, and three more Palestinians in the Al-Yamoun village, near the northern West Bank city of Jenin. A group of Jewish settlers seized control of a Palestinian cultivated land lot in Khader town, south of Bethlehem, on Saturday. Ahmed Salah, the coordinator of the village’s committee against the wall and settlement, said that settlers from Eliezer settlement, established on Khader land, started to farm the confiscated land lot. 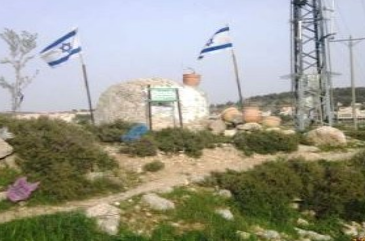 He said that the settlers planted olive seedlings and installed a big rock and clay jugs on part of the land as an area for offering their religious rituals. Salah recalled that Jewish settlers had seized control of five dunums in that same area named Khilat Al-Qut and planted olives in it after installing a two kilometers long irrigation network. A group of Jewish settlers attacked on Friday evening two Palestinian youths near the town of Yatta, in Al-Khalil southern West Bank, and broke the foot of one of them. Eyewitnesses confirmed that 35 disguised Jewish settlers chased the two shepherds, from the area of al-Adra in the town of Yatta, and attacked them by sticks and iron chains. One of the two young men Ahmed Mohammed Shawahin, 24, suffered a fracture in his foot and was taken to the hospital, while the other suffered bruises all over his body. The witnesses added that the settlers chased Palestinian farmers and shepherds in the region and vandalized crops in the Palestinian fields by allowing their own sheep to graze on the farmland. Meanwhile; a group of settlers also attacked on Friday morning a Palestinian worker while he was at his workplace place near Aqraba village south of Nablus. Ghassan Daghlas, monitoring Jewish settlement activity in northern West Bank, reported that a number of settlers from Itamar settlement hit Muhammad Hashem Bani Jabber, 28, from Aqraba village, causing him fractures and bruises. He added that the victim was taken to Rafidia hospital west of Nablus to receive treatment, where medics said that he was moderately injured. Israeli soldiers kidnapped several Palestinian children in Hebron, and the Al-Tiwana area, while several Palestinians were shot by rubber-coated metal bullets, and dozens of Palestinians were treated for the effects of teargas inhalation during clashes with the army. In Hebron city, the soldiers kidnapped three children during clashes that took place in Bab Az-Zawiya area, in Hebron’s city center, the Maan News Agency reported. Six children were kidnapped on Thursday evening and on Friday, but the Palestinian District Coordination Office (DCO) contacted its Israeli counterpart, and the army released two children but refused to release four other Palestinians, including a 10-year-oldd child. Meanwhile, in Al-Litwana area in Hebron, the army broke into, and searched several homes and kidnapped three children before taking them to an unknown destination. The three have been identified as Hafith Al-Hreiny, 15, Malek Ghanem Al-Hreiny, 15, and Based Suleiman Al-Adra, Maan said. Israeli military sources reported that Palestinian youths hurled two Molotov cocktails at the army in Bab Al-Zawiya area wounding one solider. 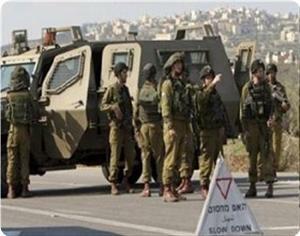 Furthermore, clashes were reported in the At-Tabaqa area, near the Al-Fawwar refugee camp, south of Hebron. Palestinian medical sources reported that one Palestinian was shot by a rubber-coated metal bullet, and dozens have been treated for the effects of teargas inhalation following clashes with the army in the area. Also on Friday, a group of extremist Israeli settlers of the Ma’on illegal settlement, east of Yatta town in the Hebron district, attacked several Palestinian shepherds causing injuries. The settlers used batons and iron chains, while some even carried knives, and attacked the shepherds as they were in a grazing area close to the settlement, local sources said. The shepherds suffered various cuts and bruises, while one of them, identified as Mohammad Shawaheen, 24, suffered a broken leg. One of his brothers was also among the injured. The settlers forced the Palestinian shepherds away and brought their own sheep to graze, especially in lands meant for winter produce. The lands in question are 10 Dunams, and belong to resident Hussein Shawaheen and his brothers.